At A.S.P. Security Services, the health and safety of fans and athletes at sports facility is a top priority. Arenas, stadiums, racetracks and other outdoor sports facilities all require a security plan that can respond to a wide range of security risks and response situations. Sporting events are often the largest public gathering of people in any city and the vast and diverse crowds mean risks to personal safety, public safety and even large-scale threats against property and/or people. A combined guard/tech/canine response is recommended. 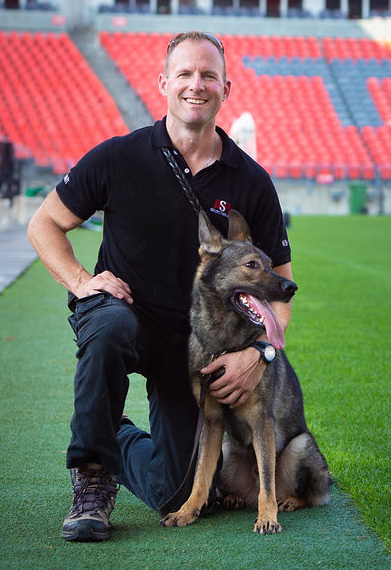 Our security guards, canine services and specialist guard services are ready to provide professional and proactive security services within your sports facilities while placing a strong emphasis on rendering outstanding customer service. Our security guards are highly trained observers who can quickly respond to a wide range of possible situations while maintaining a comfortable customer service environment.